Artificial intelligence is a growing trend in the business world, and is redefining the way humans interact with each other and the world around them. Furthermore, Artificial Intelligence equity funding exceeded 6 billion dollars over 1,098 deals over the last several years. Corporate-backed deals and dollars reached a new high in 2015, with $926M invested across 88 deals. AI is on track to have a record year for exits, on top of a record-breaking 2015 that saw 2 IPOs among 38 overall exits. AI solutions will make every product and solution smarter, faster, and better suited for our needs. Most of us already use deep learning and machine learning products every single day. AI is currently being implemented by a number of leading companies spanning finance, military, law, healthcare, manufacturing, transport, energy, and education and many more. Our event will bring together industry leaders, leading researchers/experts, successful investors, corporate executives, and startup founders and innovators around the theme of applied Artificial Intelligence solutions. We will address the reality vs hype, and the impact on policy, the industry and how it affects you! As an attendee, you will have a front-row seat to participate in dialogue obout how society and industry are already utilizing AI technologies, and what is expected to change in this field in the next 5 to 10 years. You are cordially invited on behalf of the Financial Policy Council’s Board of Directors, to our next Financial Policy Council power summit featuring leading experts in Artificial Intelligence who will discuss applied AI and its impact for the future. Mark is an associate partner of Blackhawk Partners, Inc. an international family investment group Mark is also a strategist and advisor to Global Emerging Markets (GEM) a $3.4B NYC-based alternative investment group that manages a diverse set of investment vehicles; he plays an integral role in fundraising. Additionally, Mark is Senior Advisor of the Council of Competitiveness in Washington DC and a Senior Fellow of the Global Federation of Competitiveness Councils (GFCC); his role is to provide strategic advice and counsel to help guide the Council’s policies at home and abroad. Most importantly, Mark will be strengthening public policy to the benefit of all Americans Mark is also on the Advisory Board of TriLinc Global, a US based private investment company dedicated to creating a global platform for impact investing through alternative investment funds. Mr. Minevich was CTO and Strategy Executive at IBM and has held various management, technology and strategy roles where he formulated the strategy of the Venture Capital Incubation program which provided LP investments to venture capital/incubators, coaching over 100 portfolio startups and generating USD2bn in revenue. Over the years, Mark’s deep focus has been on cultivating a multi-disciplinary approach to solving complex global challenges in the tech sector as a Vice Chairman, CTO/CIO and Chief Strategy Officer (and an Advisor) at several top flight companies including Sustainia/Monday Morning Global Institute (Denmark), , Research Board (Gartner company, international think tank to Chief Information Officers of the world’s largest corporations Deutsche Bank, BTM Corporation, Geotek Communications, Qwest Communications, Comcast, and USWEB/CKS — with a specific passion for driving innovation, creativity and sustainability both in the US and abroad. Mark is an author of highly acclaimed books including of “Six Billon Minds” (2006) and “The CTO Handbook: The Indispensable Technology Leadership Resource” (2002). He is a recipient of the prestigious Albert Einstein Award for Outstanding Achievement on global innovation and World Trade Leadership Award by World Trade Centers and WTCA. 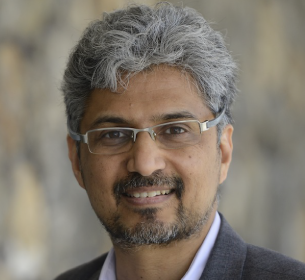 Guruduth Banavar is VP of Cognitive Computing at IBM Research, and leads a worldwide team responsible for creating the next generation of cognitive systems known as Watson. He and his team build a range of cognitive systems that learn from massive amounts of data, reason towards specific goals, and interact naturally with people to perform a variety of tasks – from answering questions conversationally to extracting knowledge for discovering insights to evaluating options for difficult decisions. These cognitive systems are designed to create new partnerships between people and machines to augment and scale human expertise in every industry, from healthcare to financial services to education. Guru has worked across IBM’s businesses to co-innovate with clients, by applying advanced technologies to solve tough business problems in multiple industries. As CTO of IBM’s Global Public Sector business, Guru focused on the Smarter Cities initiative, and led strategic engagements around the globe to improve public safety, transportation, and other city services that make cities more livable and sustainable. An example of his work is the City Operations Center in Rio de Janeiro, which coordinates day-to-day as well as emergency operations in support of planning and service management across thirty agencies within that city. Guru’s work has been featured in The New York Times, Wall Street Journal, The Economist, National Public Radio, and other international media. He served on NY Governor Cuomo’s commission for improving New York State’s resilience to natural disasters after the devastation of Hurricane Sandy. 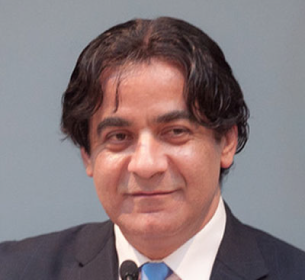 Guru is an elected member of the IBM Academy of Technology, and has served on the boards of IBM’s Industry Academy and those of academic institutions. Earlier, Guru was the Director of IBM Research in India, which he helped establish as a pre-eminent center for Services Research and Mobile Computing. There, he and his team received a National Innovation Award by the President of India in 2009 for the Spoken Web project. Guru has published his research extensively and holds more than 25 US patents. His early work was on distributed systems and programming models at IBM’s TJ Watson Research Center in New York, which he joined in 1995 after his PhD in Computer Science. 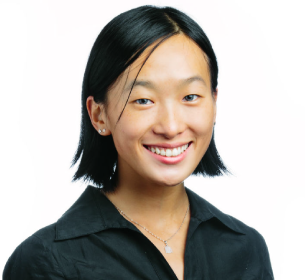 Lucy Wang is an investor and AI/Data Scientist at Greycroft Partners. She splits her time between helping portfolio companies with technical initiatives and working as an investor in early stage startups. Prior to Greycroft, Lucy held several industry positions. She worked in consumer analytics at Ebay Enterprises and built economic models and trade signals at Bridgewater Associates. Lucy holds a BA degree from Brown University in Behavior Economics and Mathematics and an MS degree from NYU in Machine Learning. 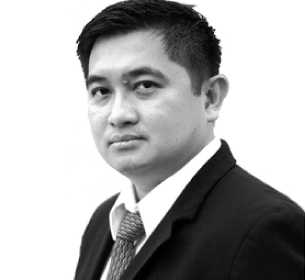 Long N. Phan (BS, MS, PhD from MIT) is the Chief Executive & Technology Officer of Boston based Top Flight Technologies. Dr. Phan is responsible for executing the overall vision for Top Flight Technologies. In addition, he leads research, product development, strategic software and services partnerships to be used in the Company’s products. 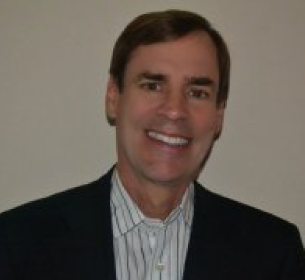 Long has over 20 years of experience in the field of robotics and autonomous systems. At MIT, he was an initial member of the MIT/Draper Aerial Robotics team in 1994 and was part of the first team in the world to demonstrate a fully autonomous helicopter from takeoff to landing at Disney World’s Epcot Center in 1996. He has created a product development roadmap for Top Flight that leverages original designs and existing advanced technologies through strategic partnerships. Long was also an early pioneer in remote algorithmic trading systems, high frequency trading, and a high volume contributor on the NYSE (over 1% daily volume). He is a visionary and passionate entrepreneur who enjoys solving some of the most challenging problems in the world. Long received his Bachelor of Science, Master of Science, and PhD in Mechanical Engineering from MIT. Heiko Schmidt is CEO of PhiFactor Technologies, the first healthcare centered artificial intelligence firm. Starting with advanced math and engineering at the Academy of Science in Berlin/Germany (graduated in 1989), Heiko Schmidt applied and developed statistical models to identify anomalies/patterns in a very large amount of international accounting data of music/IP Royalties in 2000 (back then called big data analytics). In 2005, Heiko turned his findings into a sophisticated international IT system to avoid misallocations of royalty revenues, resulting in an IP royalty revenue increase of up to 7,000% for more than 200,000 assets under management (Parasongs). From 2009 to 2012 and backed by private equity firms, Heiko analyzed the financial performance of more than 2 million IP assets to identify unknown patterns and influencers, leading to the identification of nearly 200 significantly undervalued targets. In 2014, Heiko developed this new technology further into Gideen.com, the first and only fully automated record label/publishing company, solely focused on up to 650 million orphan music songs. Now, music owners can earn up to a few thousand dollars with songs no one else wants to buy or work with. 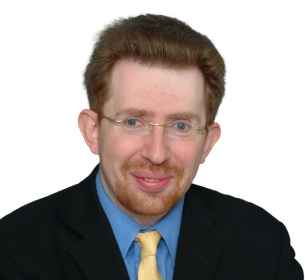 Since early 2015, Heiko has been working as a strategic consultant for companies like artificial intelligence licensing agency Beyond Limits (CalTech/JPL), to create new products and services around unique AI algorithms, originally developed for NASA’s unmanned space missions, e.g. intent-based search engines, NLP, highest level encryption, machine vision, deep learning, big data processing, pattern recognition. In the summer of 2015, Heiko partnered with German top researcher and global #1 expert in physiognomic science, Dirk Schneemann, to combine Dirk’s 20 years of R&D results and new AI technologies in multiple verticals. In digital health, PhiFactor Technologies LLC can identify early signs of diseases in human faces with a cell phone or similar camera and is in the middle of a clinical trial with UCLA and multiple thousands of heart patients in order to train the algorithms. When released as a product in early 2017, users can benefit from it as passive health screening tool and seek help before symptoms arrive and medical treatment might come too late. In the life problem vertical, Facemap LLC, is leveraging physiognomic science to identify character, skill set and talent profile, helping everyone to focus on their strengths and seek complementary help on their weaknesses. Currently, there are many more verticals in R&D stage, ranging from HR, sports, education, dating, investment, etc., all using various AI technologies to generate an “unfair advantage”. 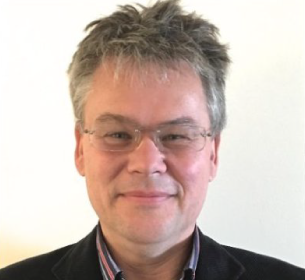 Bruce Gallager is an Information Technology Entrepreneur, Executive, Business Advisor and Early Stage Investor with over 30 years experience in implementing emerging and innovative technology for major business benefit. Bruce’s current focus is investing in and advising early stage companies utilizing Artificial Intelligence, Machine Learning, Semantics & Natural Language processing and Complex Analytic technologies that provide major business benefit for the financial services and information industries.